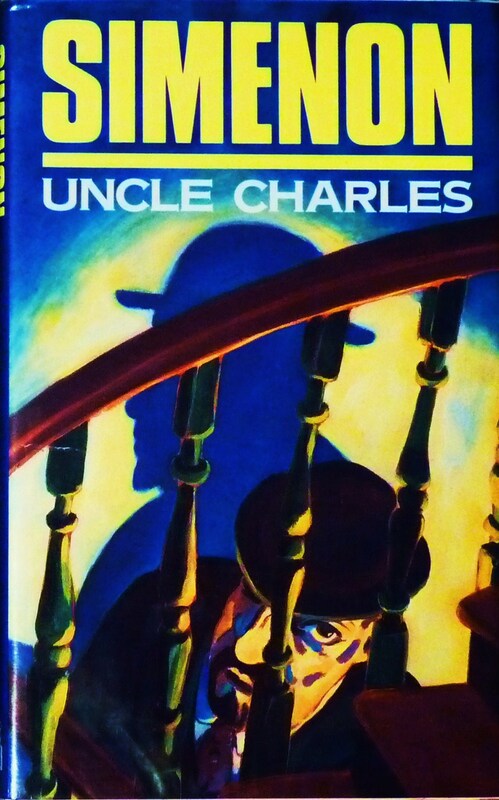 The original title of Uncle Charles is Oncle Charles s’est enfermé – Uncle Charles has locked himself in – and this is exactly what happens at the beginning of the novel: Charles Dupeux returns from work, goes upstairs and barricades himself in the attic. Downstairs, his wife, Laurence, and his three daughters take their evening meal in the modest kitchen and wonder what he is up to. Laurence is a good-natured, slovenly sort, not given to over-reaction and it is only when her husband does not emerge for work the following day that she becomes concerned. We learn that Dupeux’s brother killed himself, but Dupeux does not have suicide in mind. Various characters attempt to coax Charles out, initially without success. It is only when his rich brother-in-law and employer, Henri Dionnet speaks to him through the attic door that he decides to emerge and return to work. When we eventually discover why Dupeux has locked himself in the attic, it is somewhat anti-climactic, but that is not the point. Dupeux’s act is a ‘McGuffin’ – a device to set the plot in motion and introduce us to the various characters and the tensions that exist between them. The presence of Laurence was enough to create a plebeian atmosphere anywhere, a kind of flabby, free-and-easy atmosphere. And that was precisely what Paul came to wallow in. It was more complicated than that. The mystery was much wider, infinite even … Someday, [Paul] would succeed in drawing together all the scattered threads, and everything would become clear. He would finally understand why none of them, for all their good intentions, would ever amount to anything, and why, each time they tried to raise themselves, they fell back into the same grubby mediocrity. What throws the fate of the family into sharper relief is that Dupeux has embezzled half a million francs from his brother-in-law. It is to contemplate what to do with this money that he retires to the attic. And in confirmation of Paul’s theory that they can none of them escape their mediocrity – and on some level do not wish to – Charles decides to do nothing with his fortune. Rather than take the opportunity to raise his family out of their impoverished state, he chooses to languish in it. By the end of the novel, Dupeux’s three daughters have departed the family home (one through suicide), and he has returned to work in the glass cage in his brother-in-law’s office. * Laurence slopes about in her worn old shoes, complaining of rheumatism brought by the draughty kitchen. This is the life that Charles has chosen. It is not that he merely locked himself into the attic, it is that he is locked into a cycle of poverty and mediocrity from which he does not wish to escape. First published in 1942. Hamish Hamilton edition, 1988. Translated by Howard Curtis. Previously published in English as Uncle Charles Has Locked Himself In. * In this aspect, Uncle Charles is a precursor to The Glass Cage of 1971, in which an unassuming Paris proof-reader embezzles money from his employer.